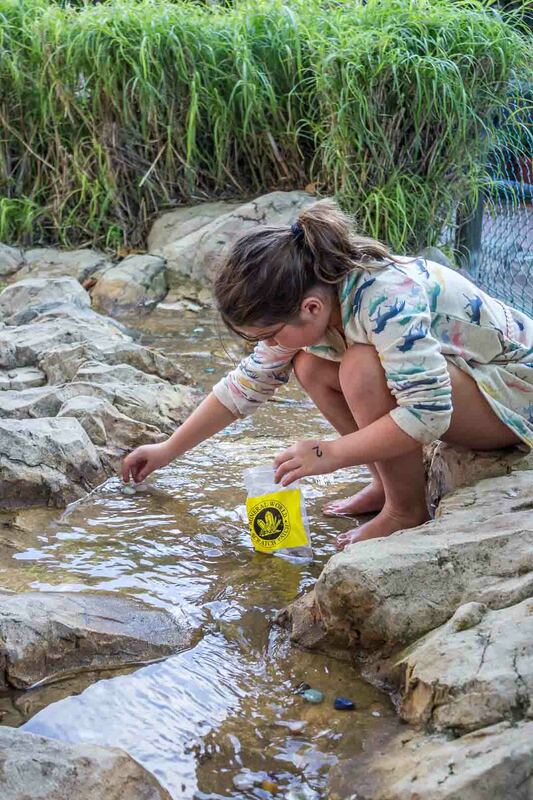 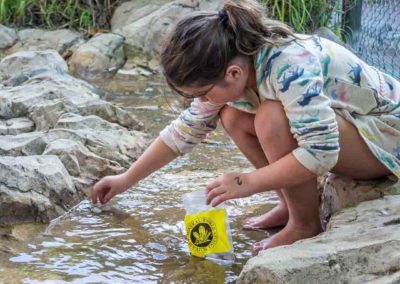 You can purchase one of three sizes of plastic bag or a cup. 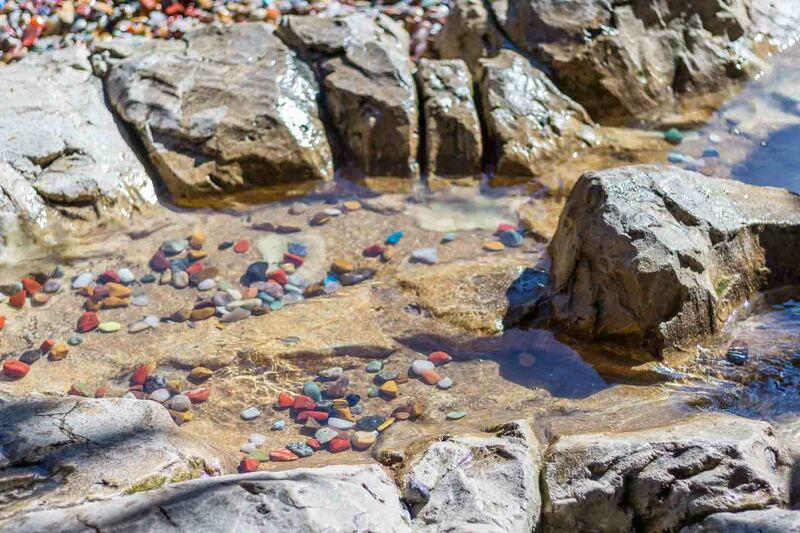 You can fill your bag or cup with your favourite gemstones. 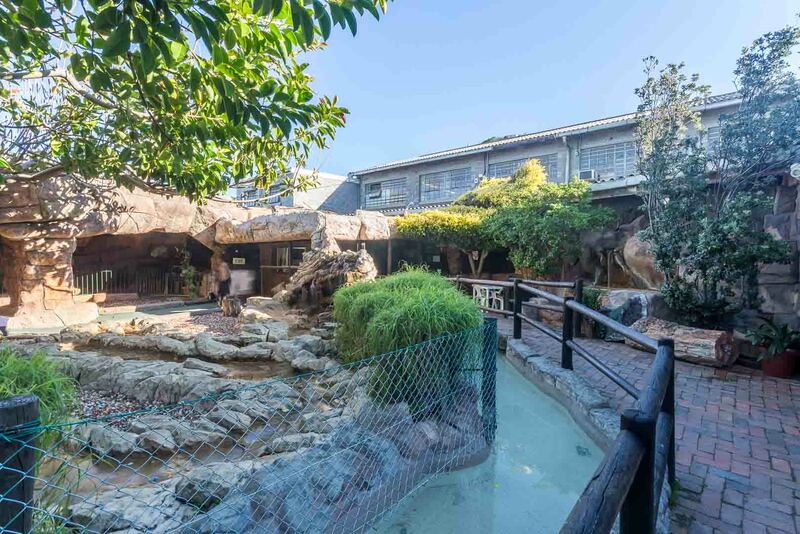 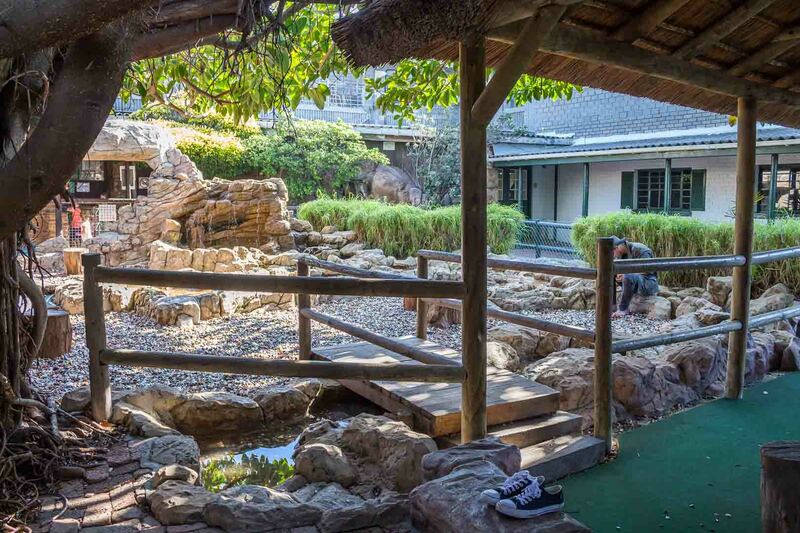 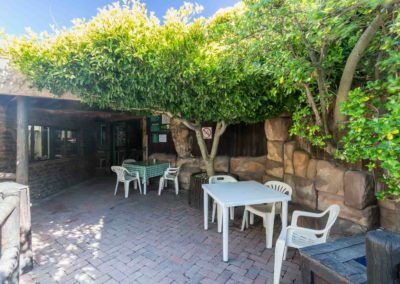 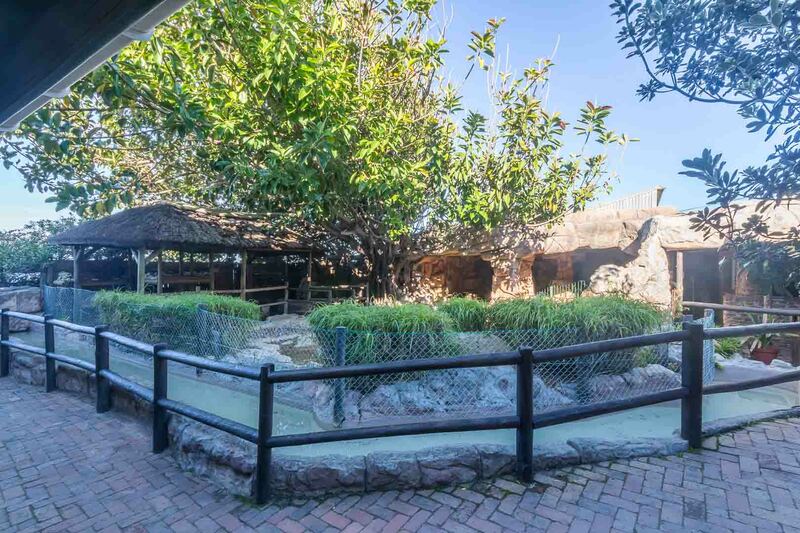 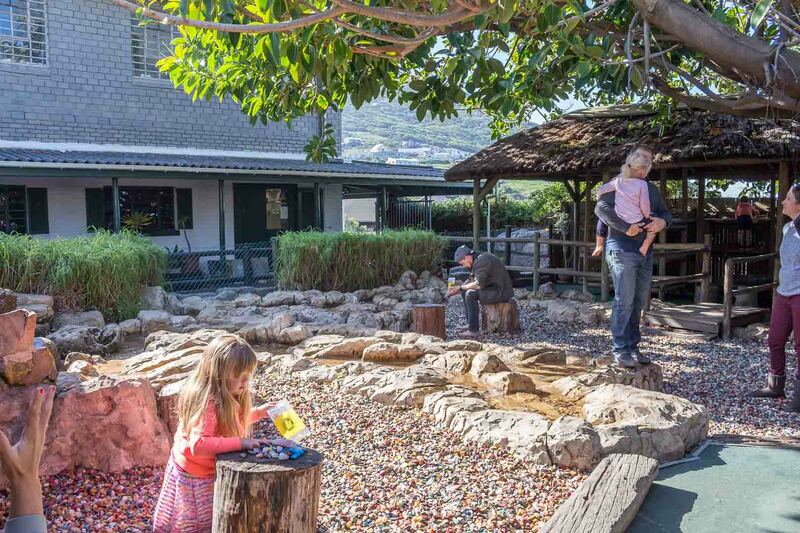 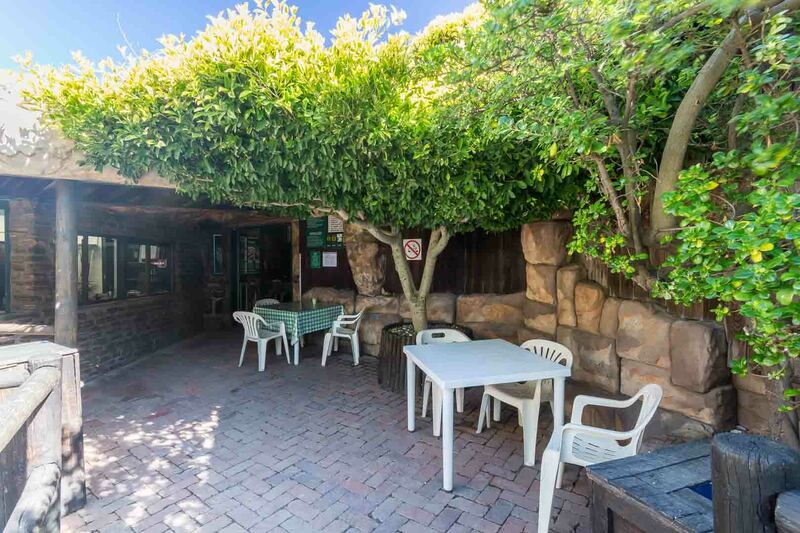 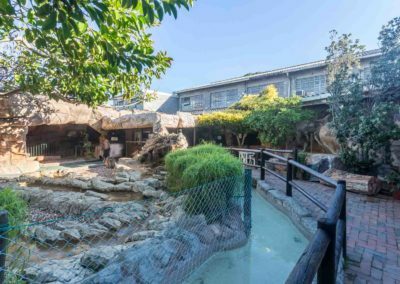 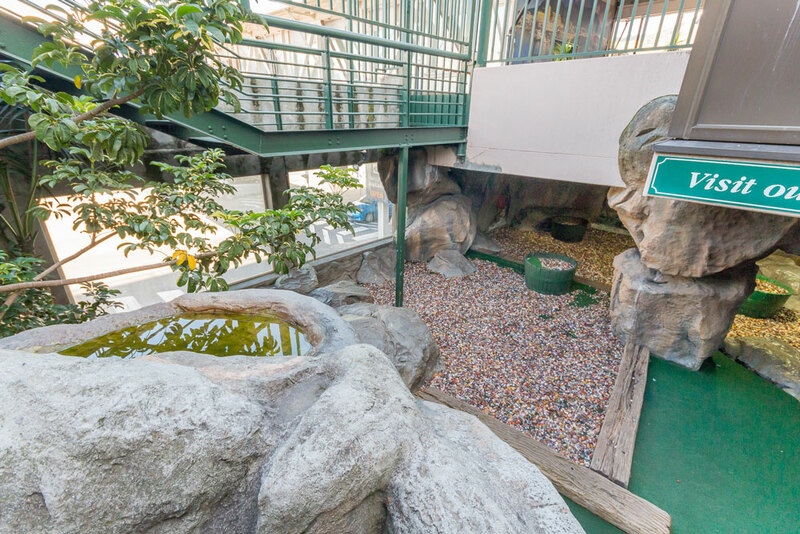 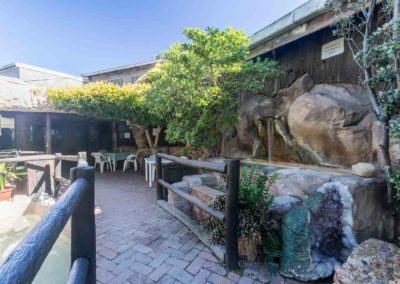 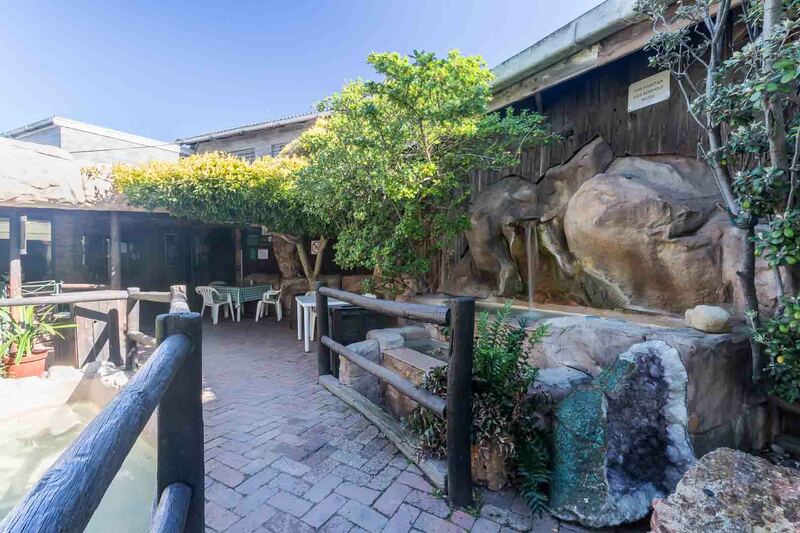 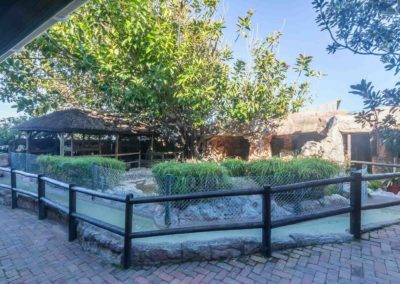 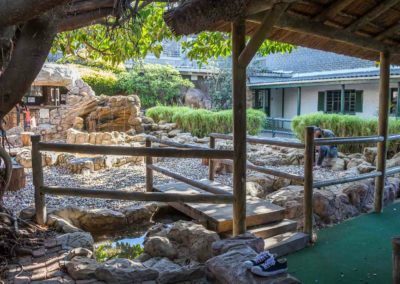 Our original – and now world-famous – Scratch Patch was started in Simon’s Town in 1970. 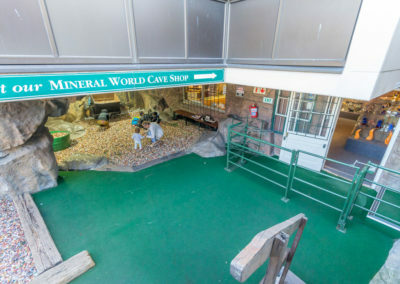 (It has since been “copied” in other parts of the world!) 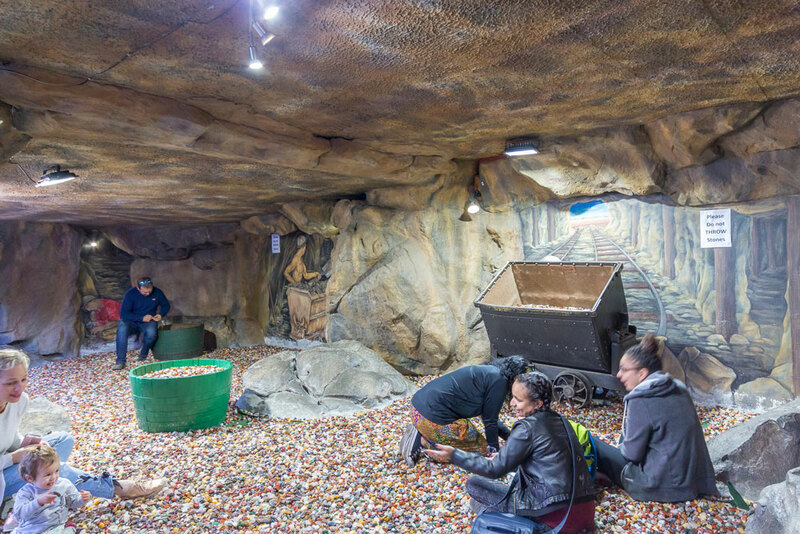 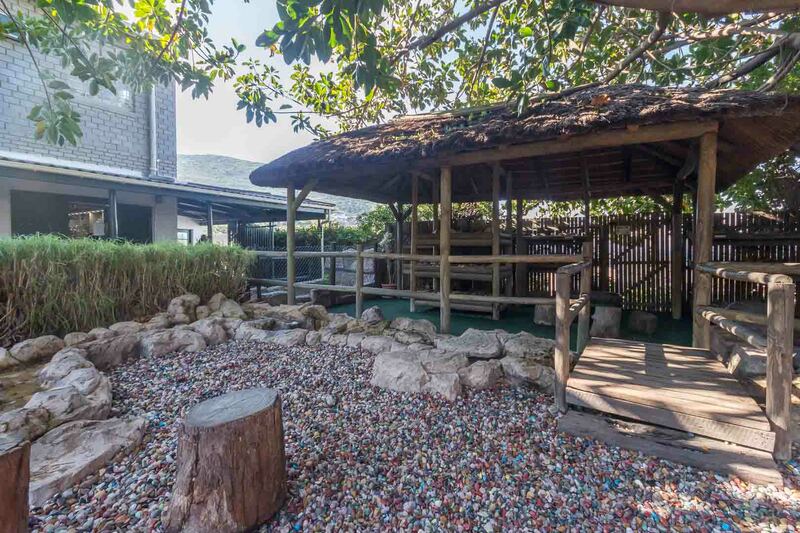 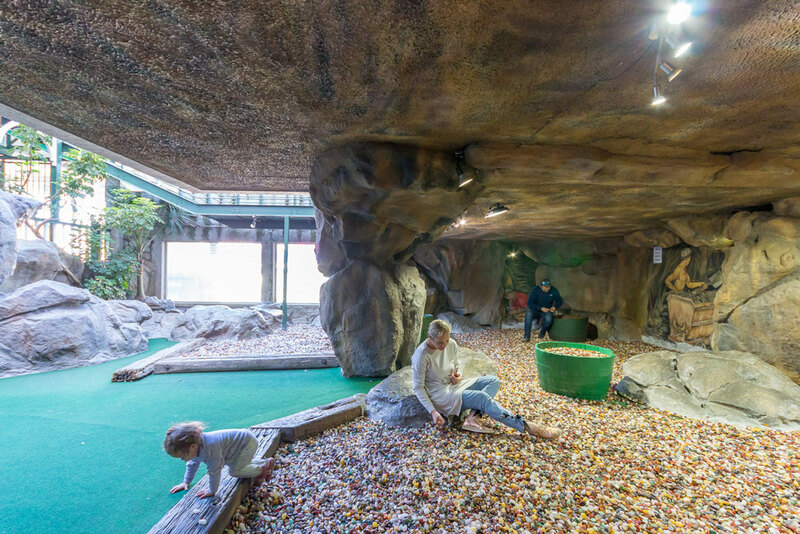 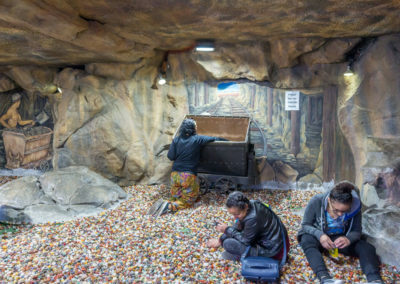 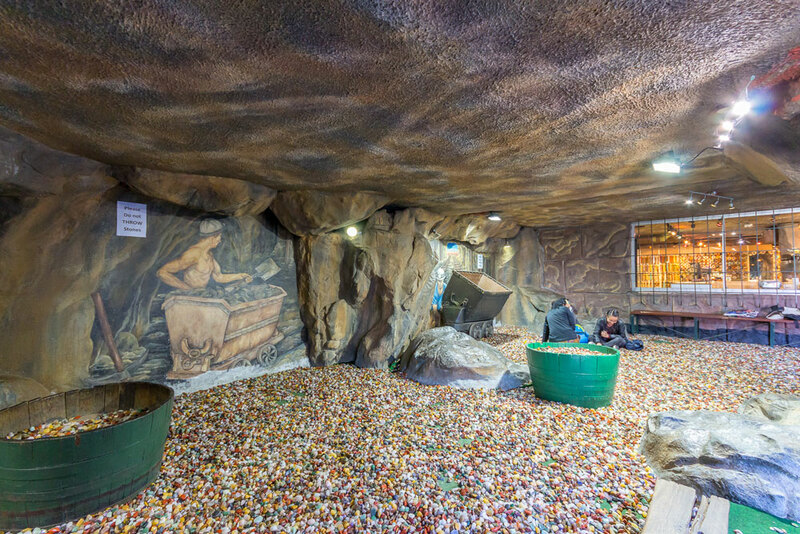 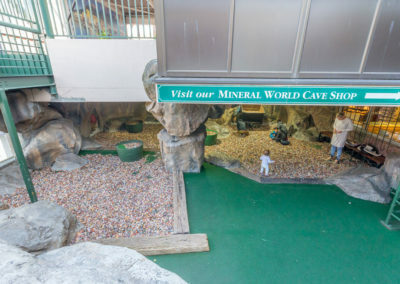 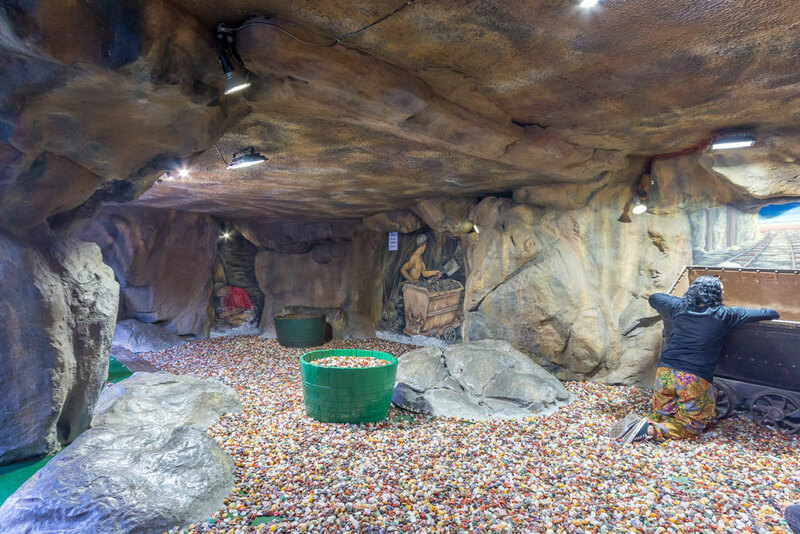 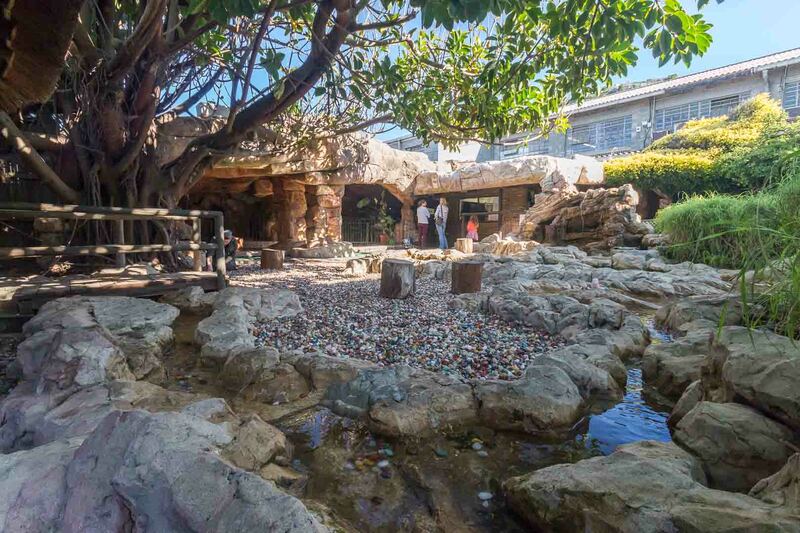 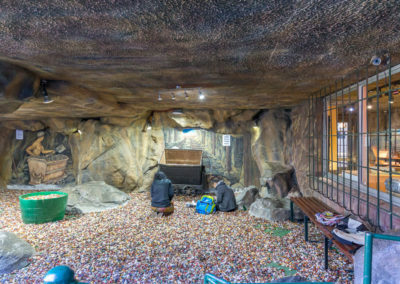 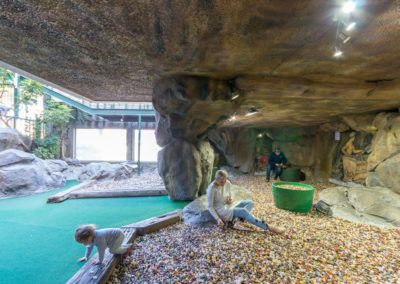 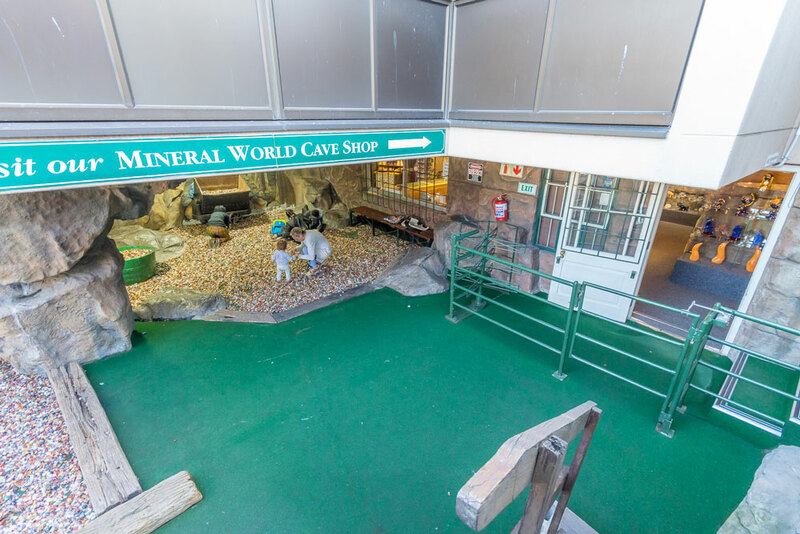 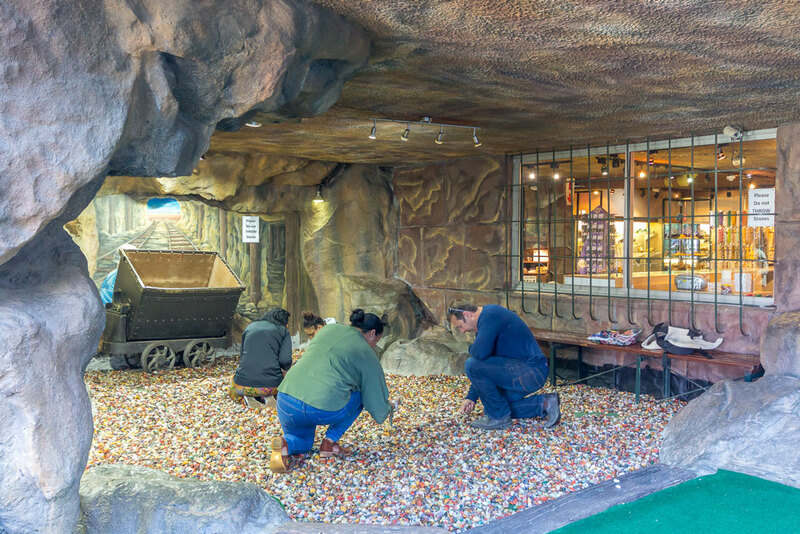 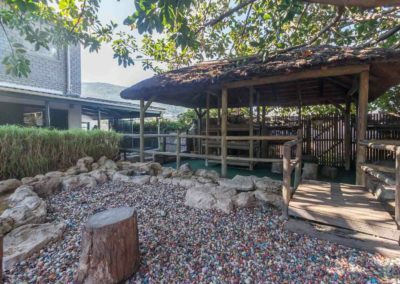 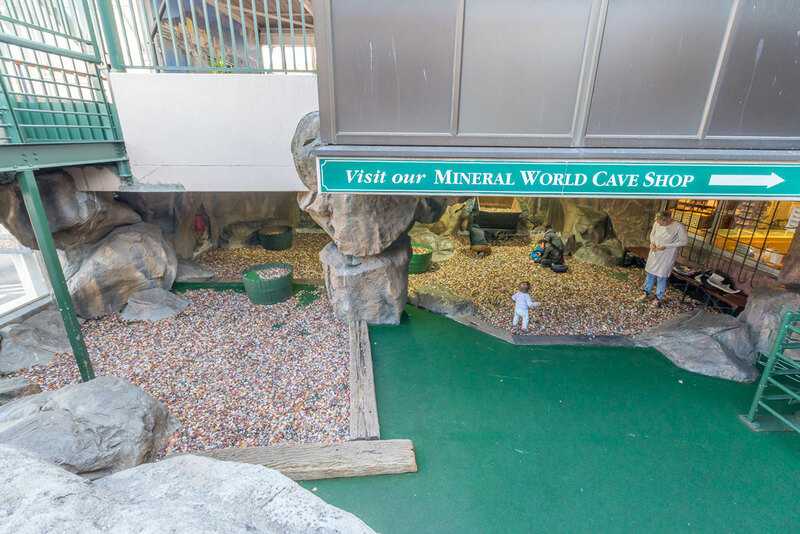 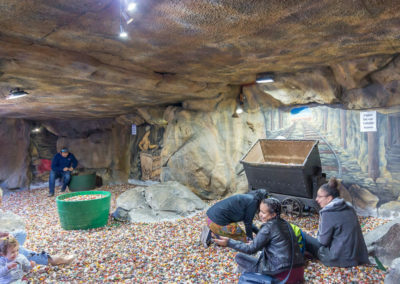 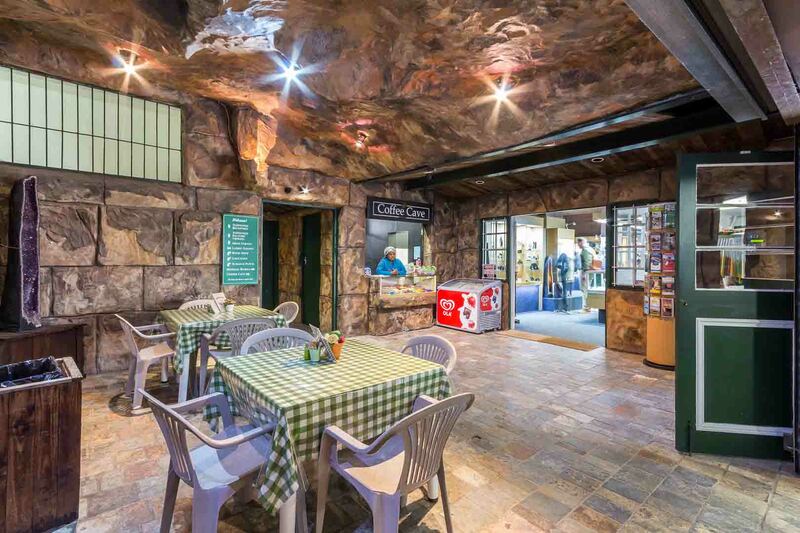 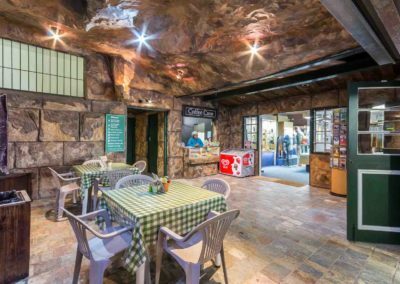 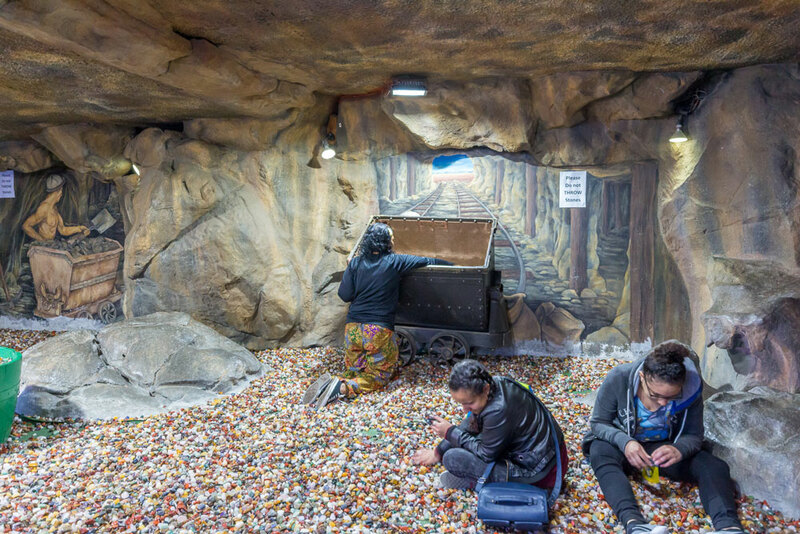 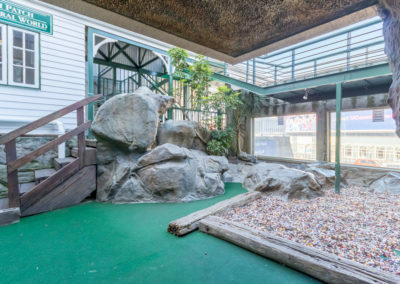 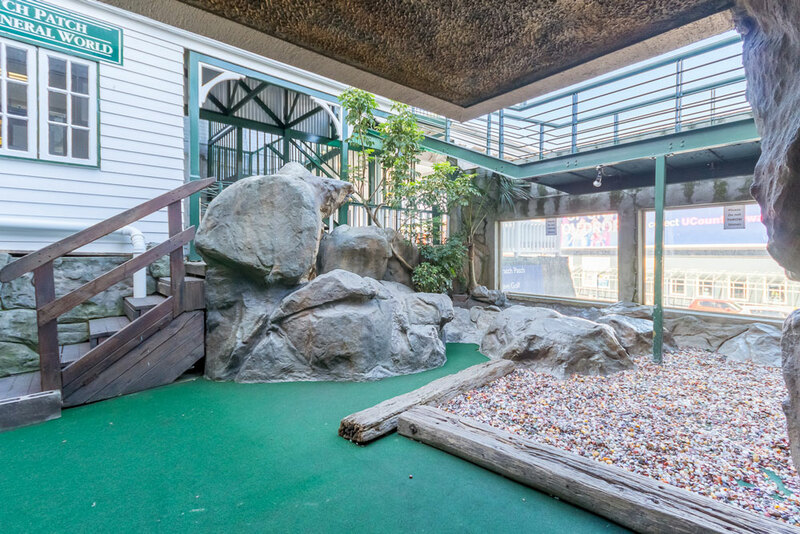 It is a place where you can have loads of fun “scratching” for your favourite tumble-polished gemstones from thousands of polished stones that quite literally cover the floor. 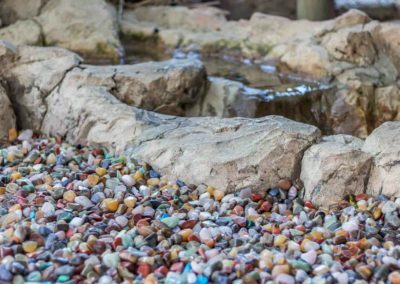 There are a wide variety of tumble-polished gemstones in the Scratch Patch, mostly popular Southern African stones such as Tiger’s Eye, Rose Quartz, Amethyst, Jasper, Agates and Crystals. 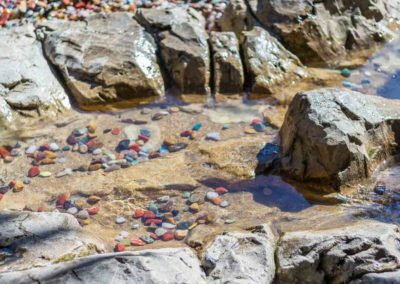 If you’re lucky, you might find virtually anything including Lapis Lazuli, Blue Lace Agate and some really exotic stones! 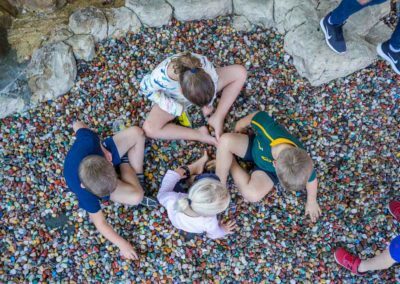 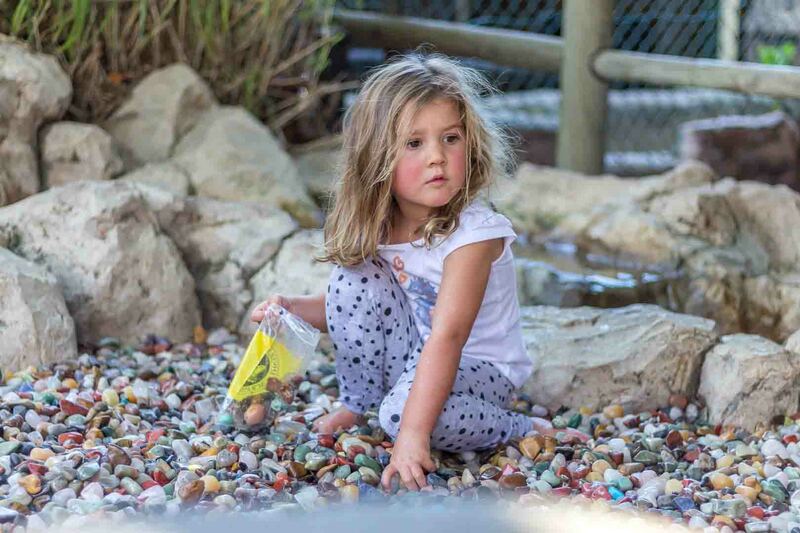 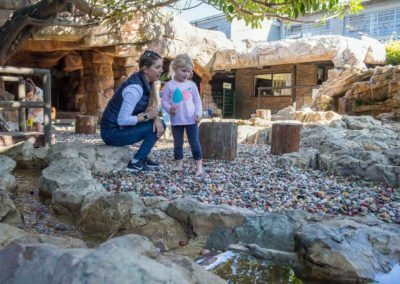 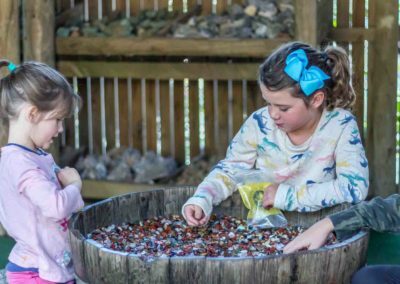 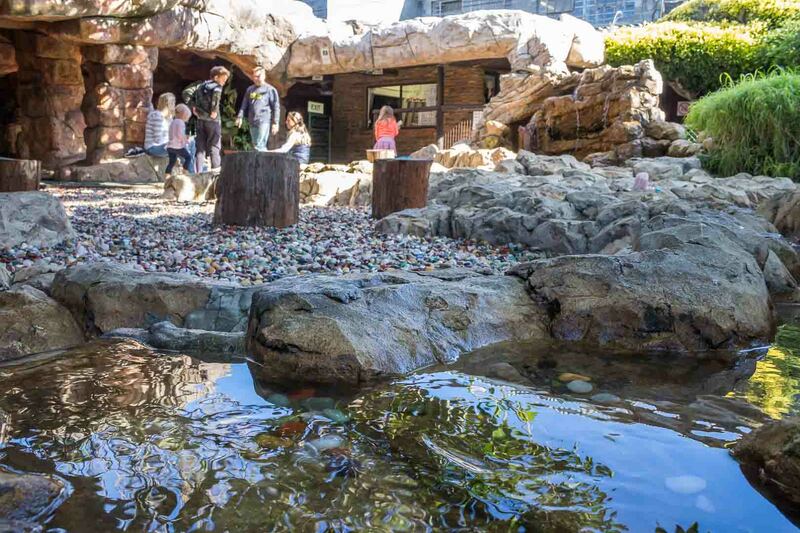 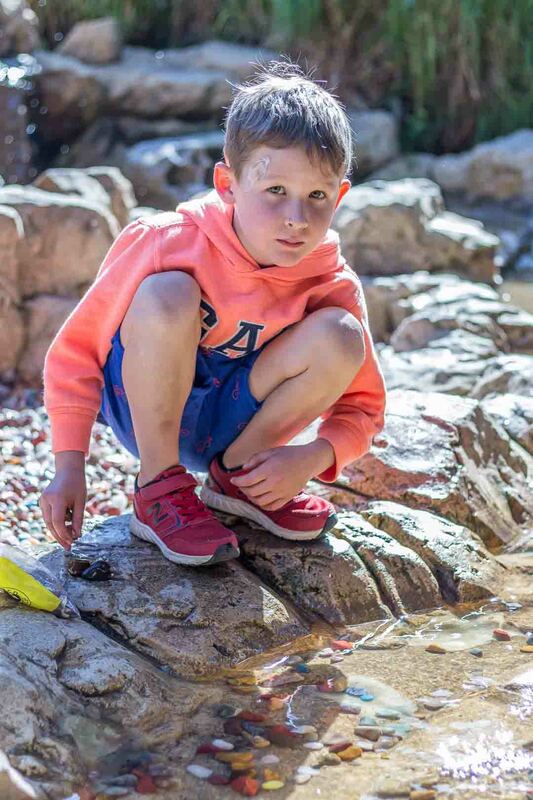 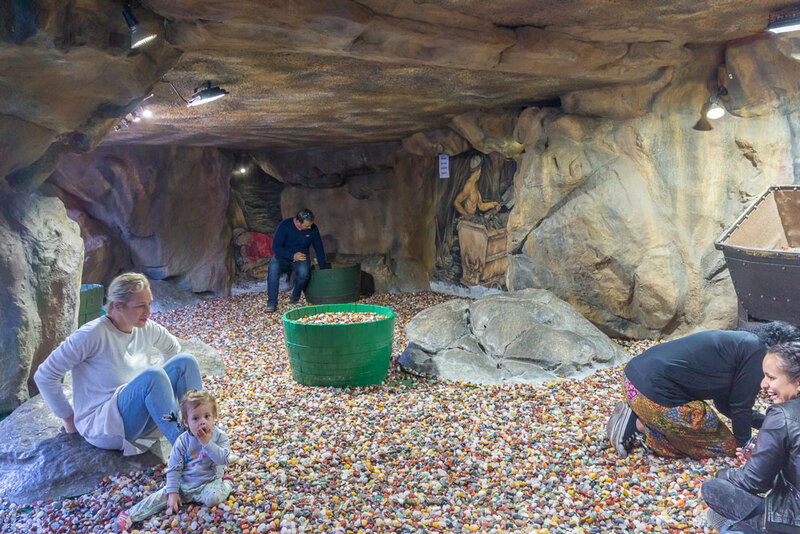 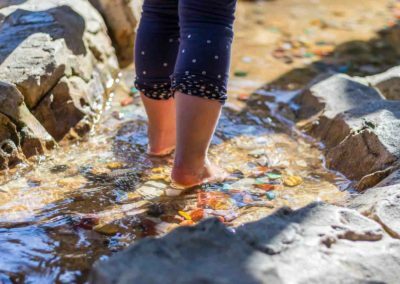 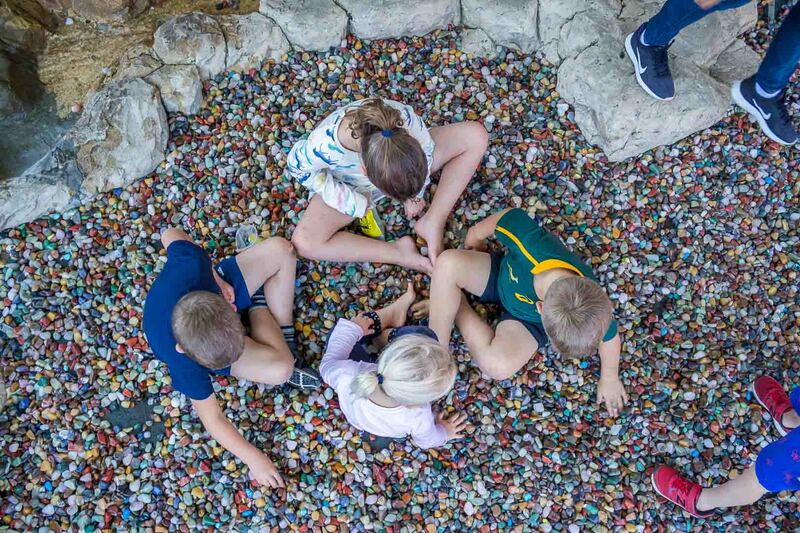 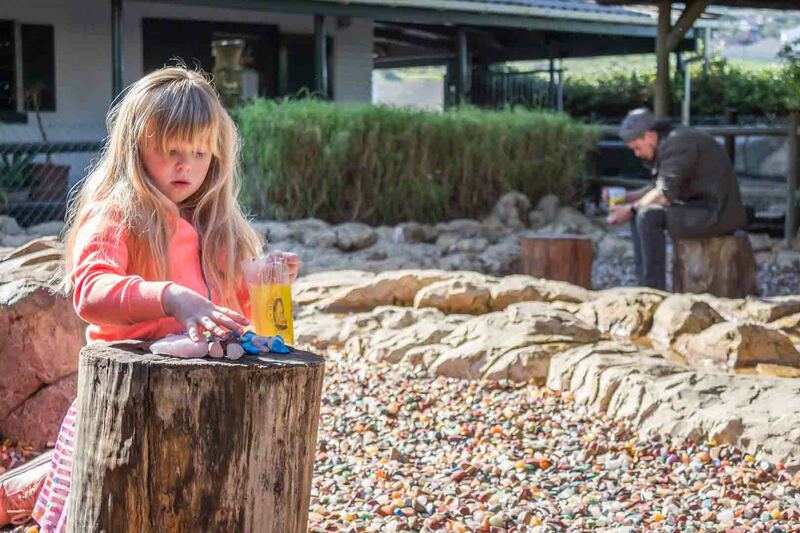 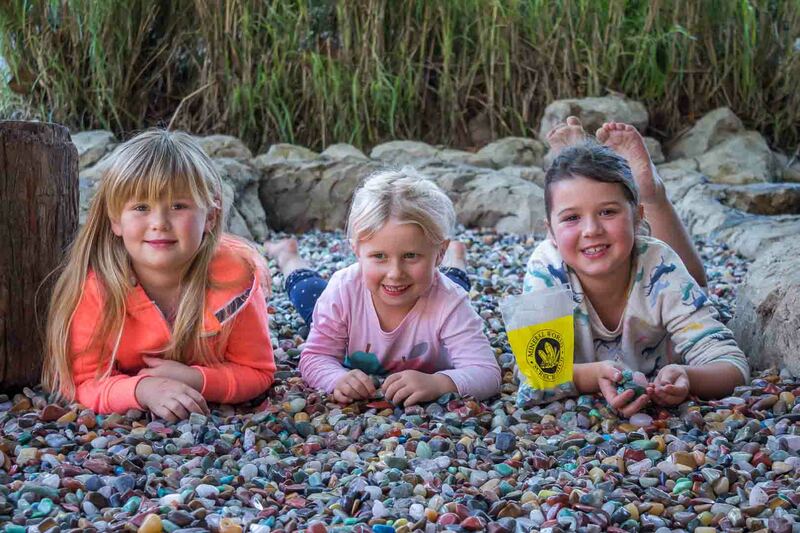 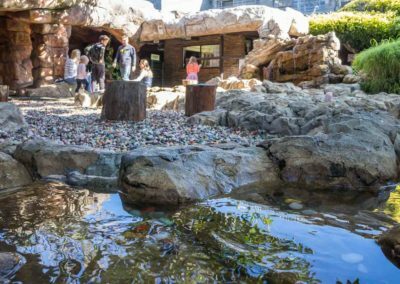 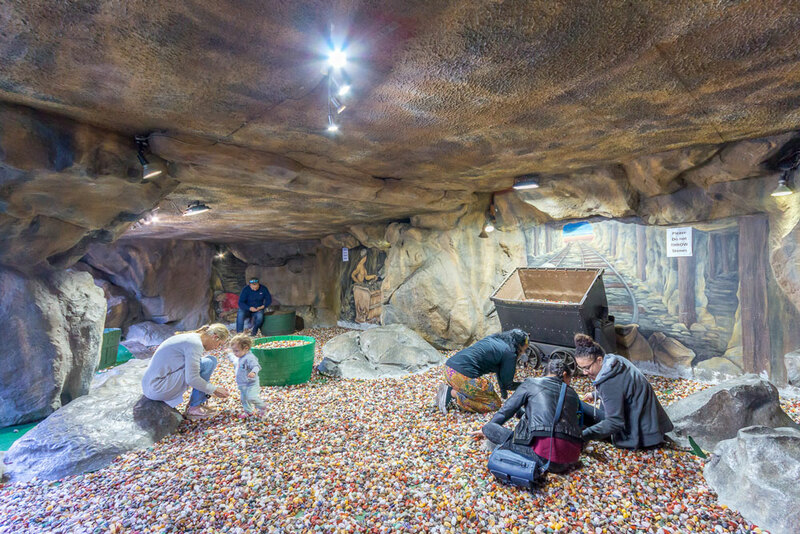 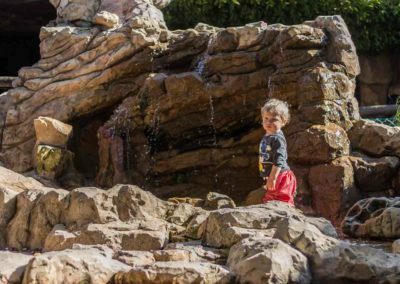 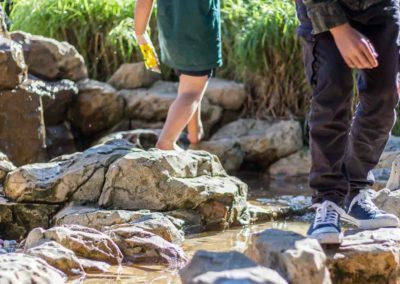 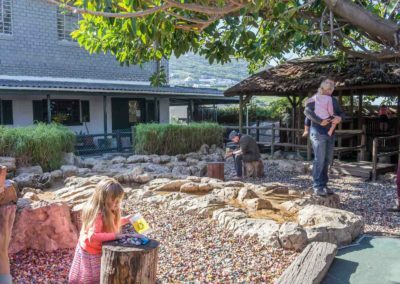 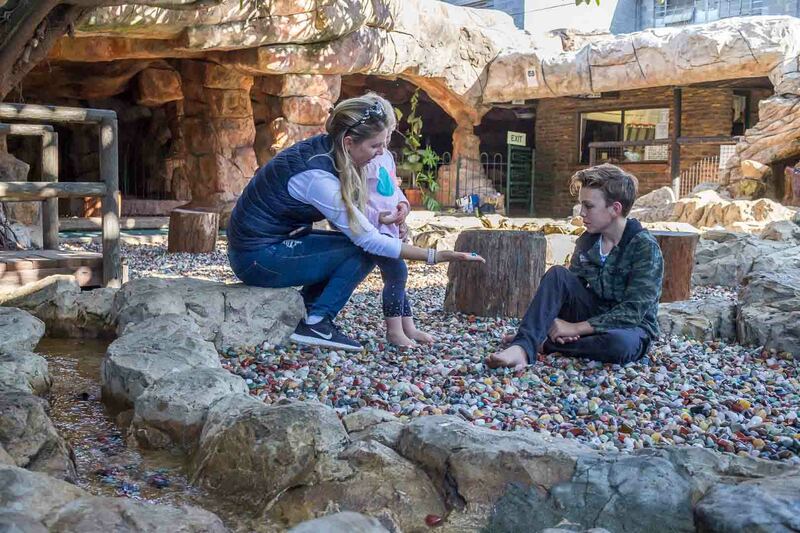 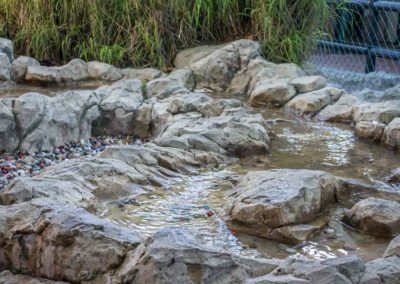 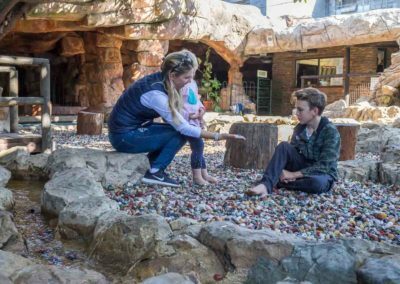 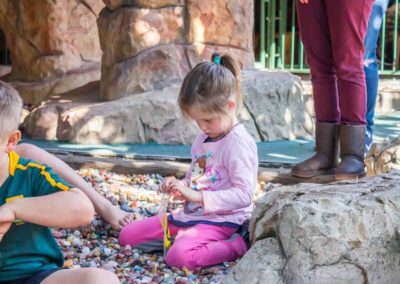 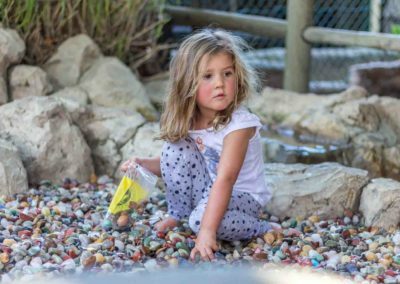 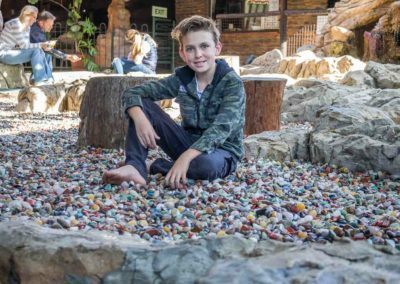 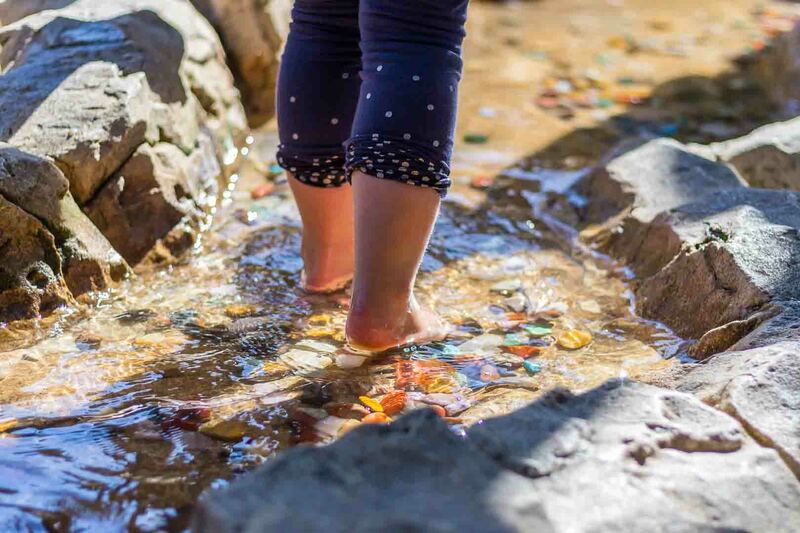 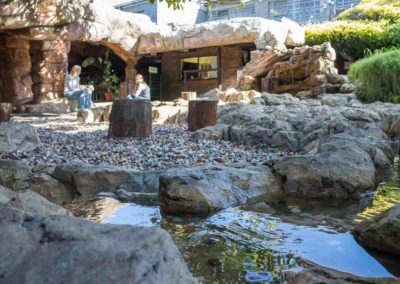 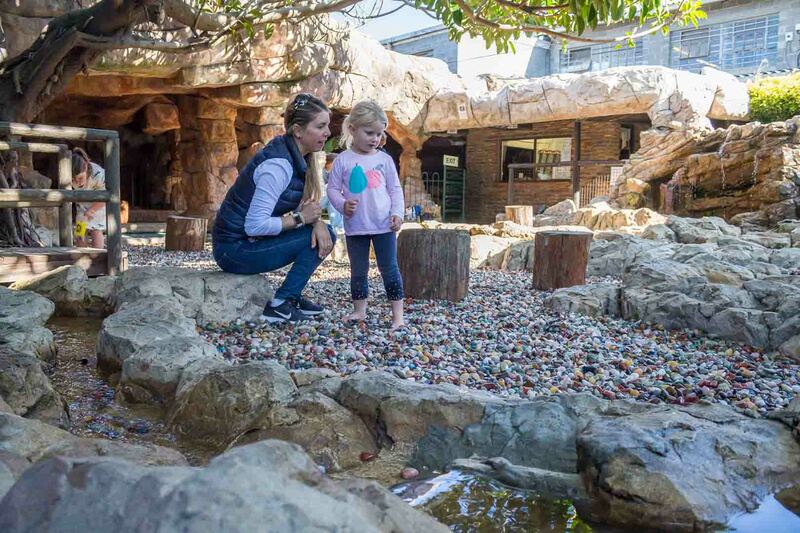 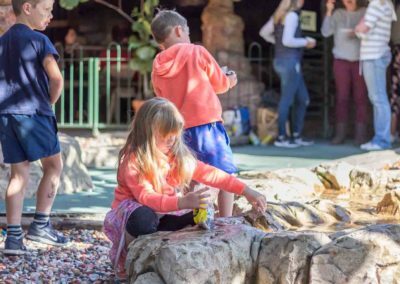 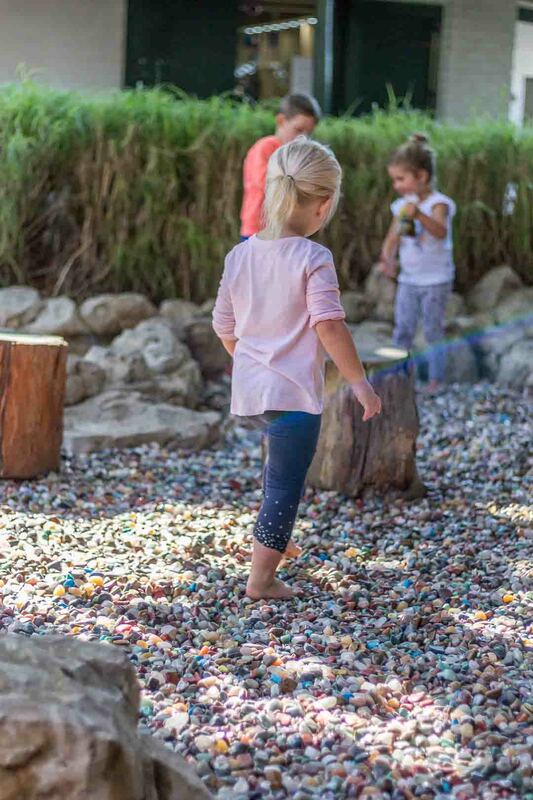 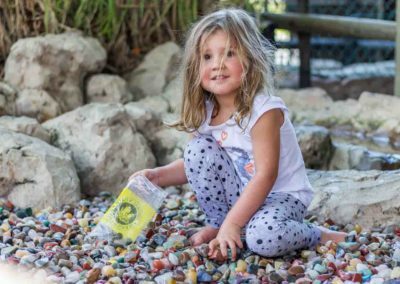 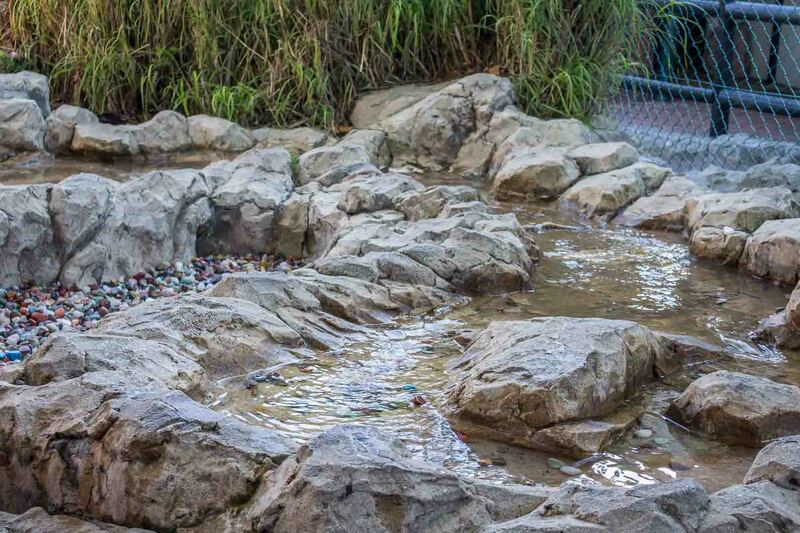 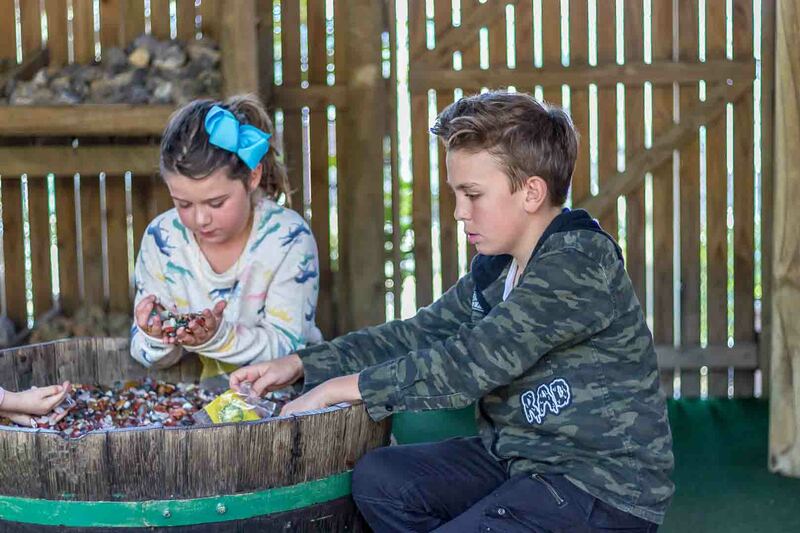 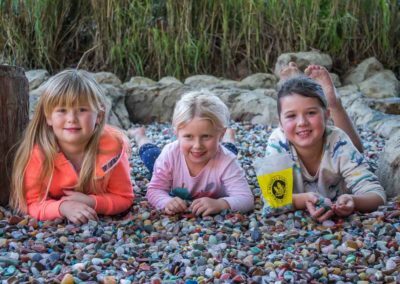 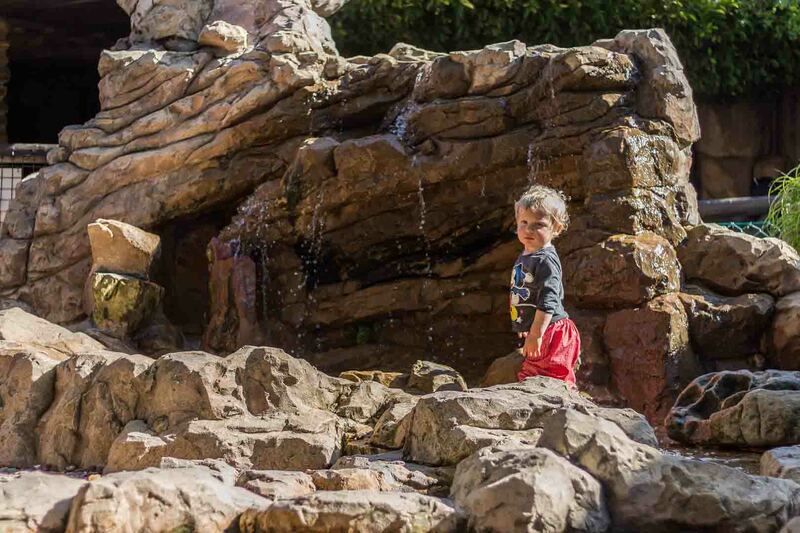 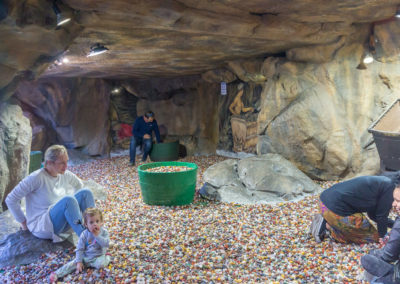 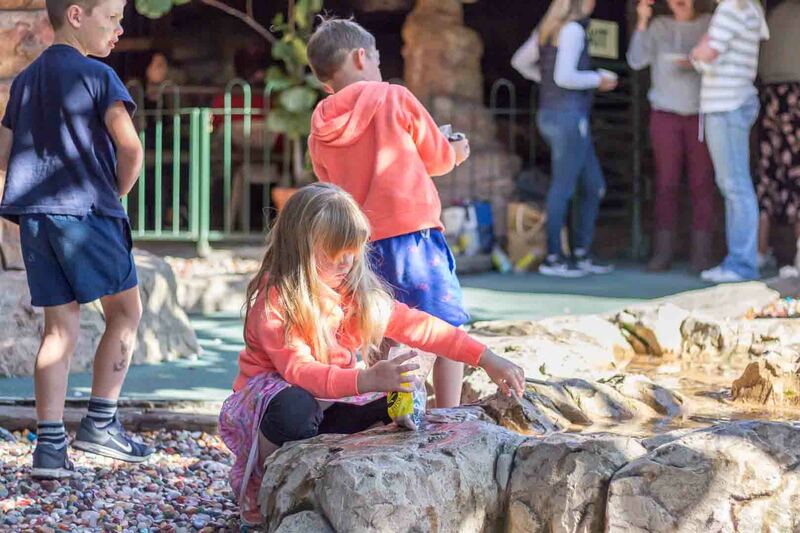 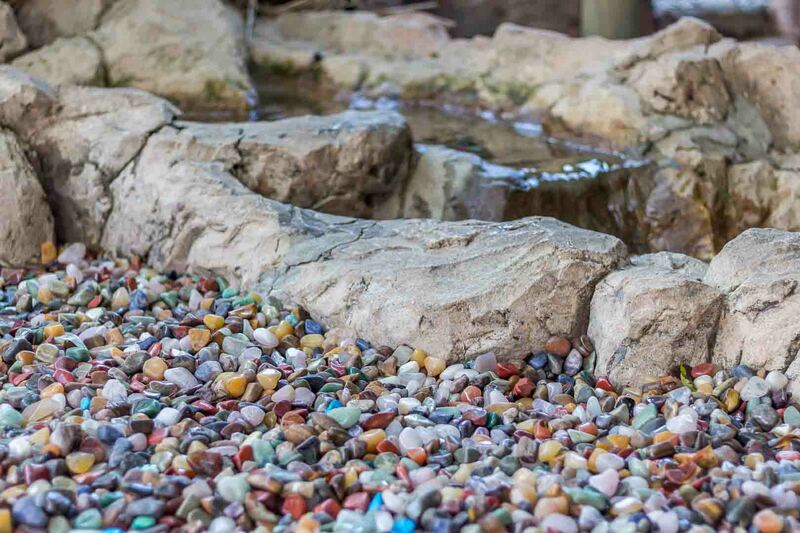 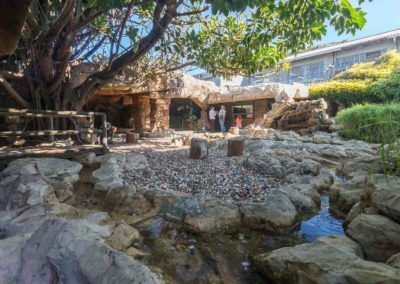 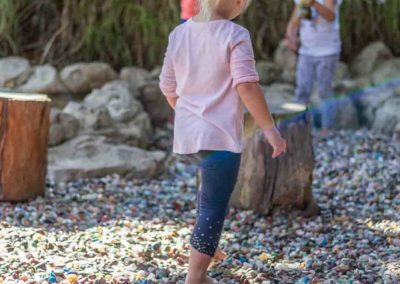 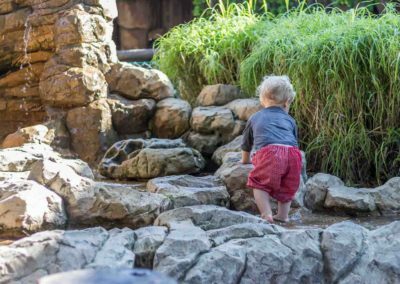 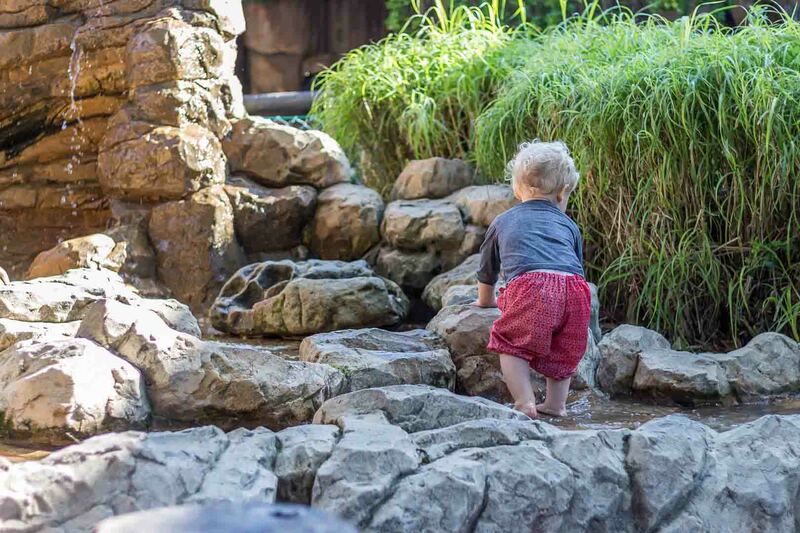 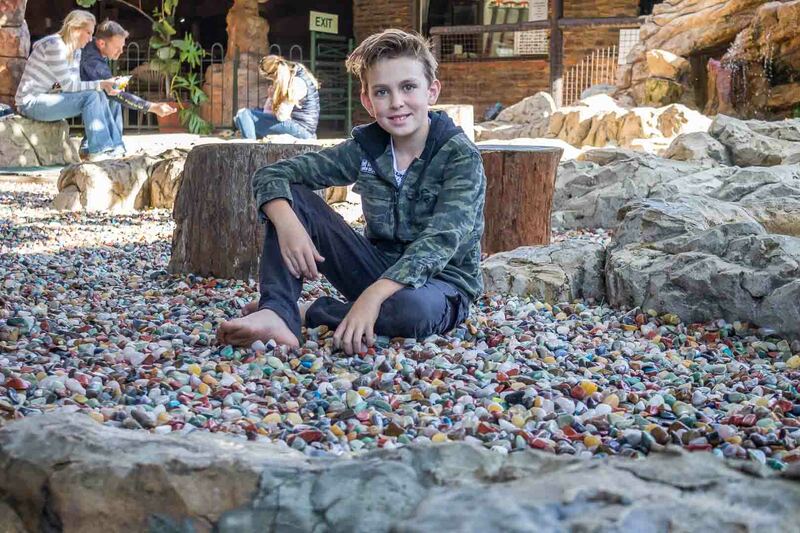 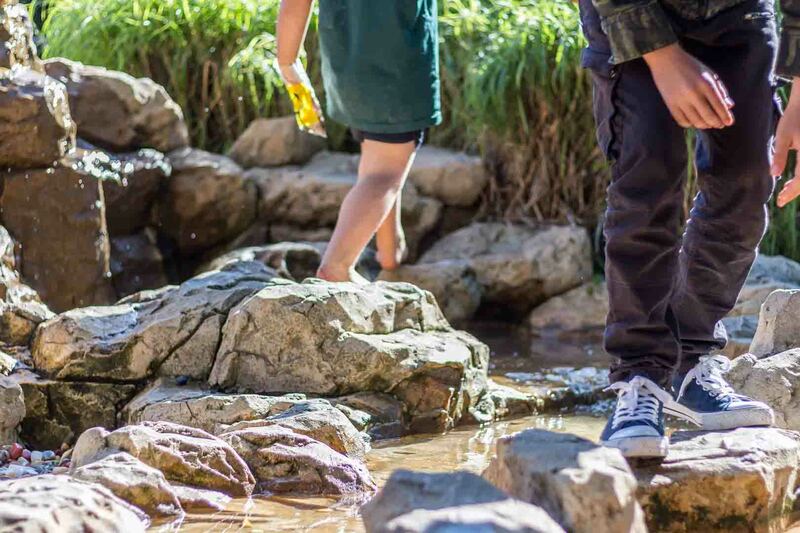 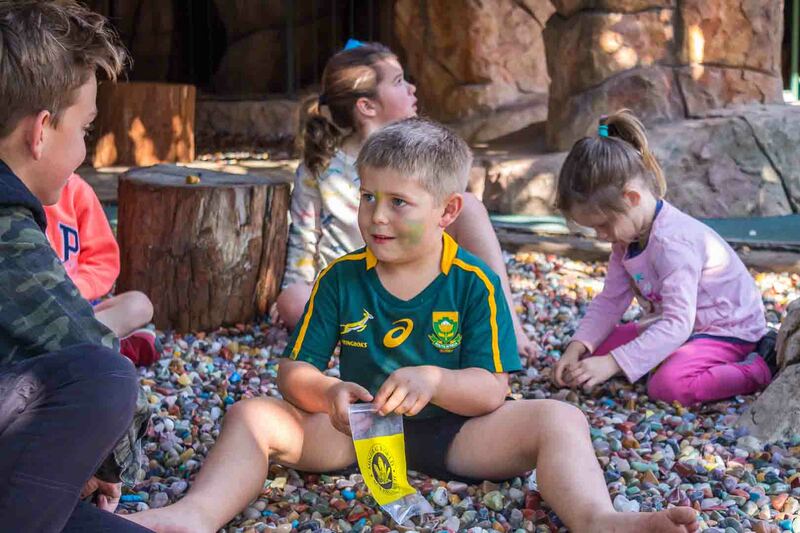 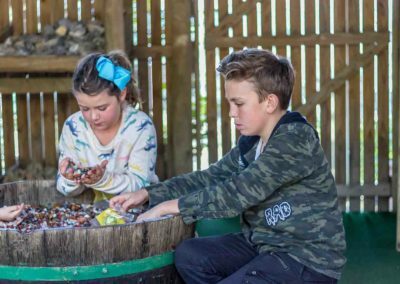 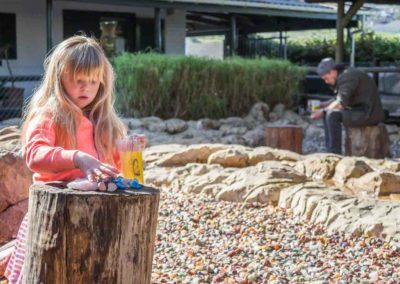 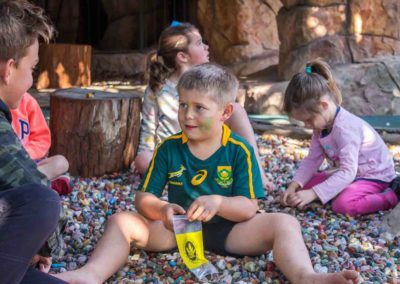 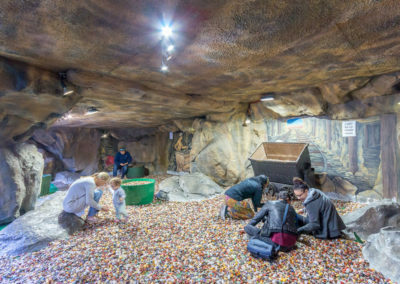 It’s an inexpensive visit and popular with all ages – and being surrounded by so many colourful stones is a memorable and uplifting experience. 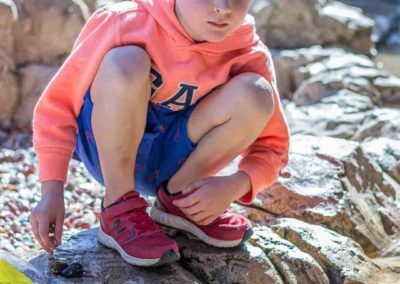 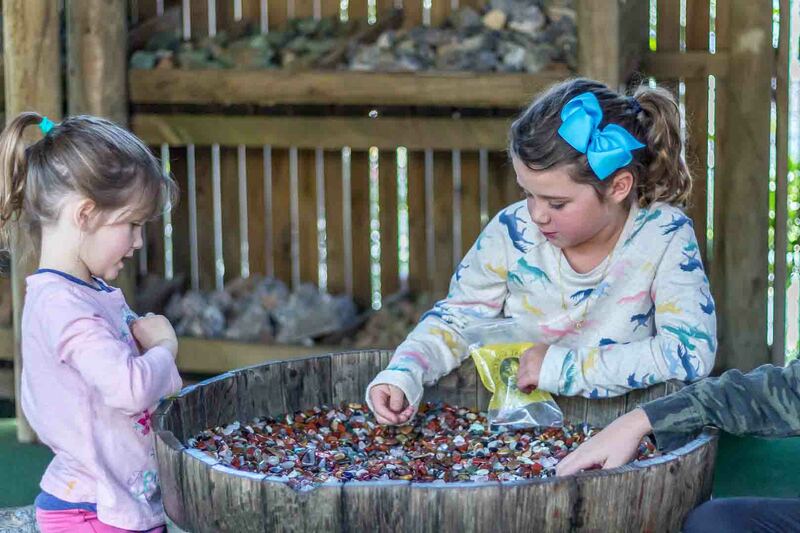 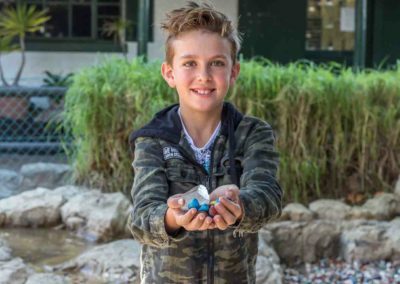 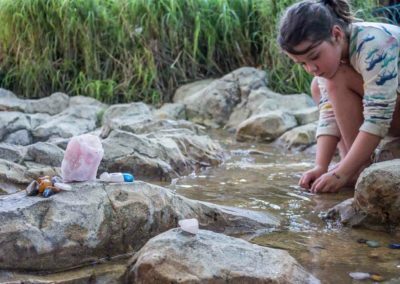 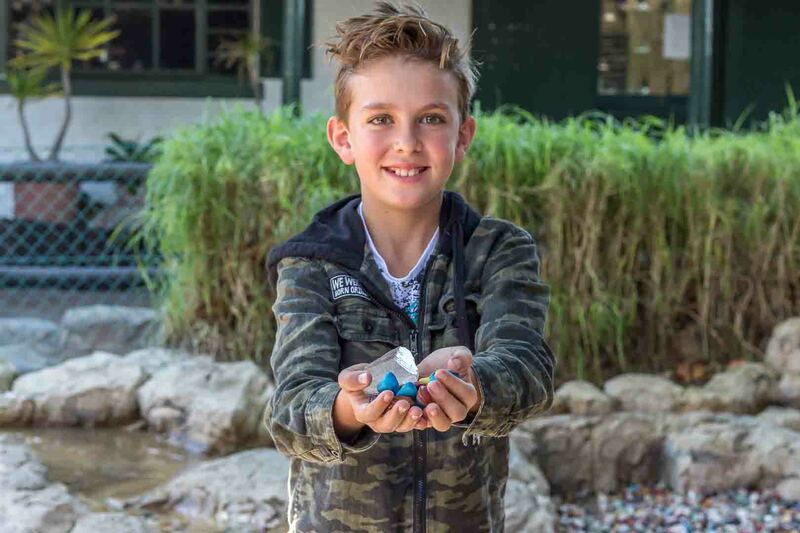 More and more “mainstream” people are starting to believe that gemstones have “powers” – and being surrounded by so many beautiful polished gemstones certainly does have a calming effect on many people – and especially children!